The clubhouse sits behind the 18th green at Royal Wellington Golf Club. 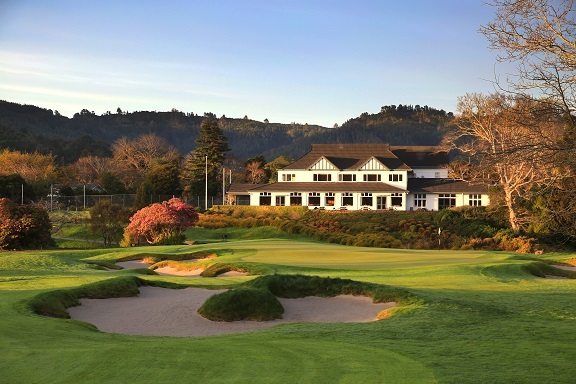 Wellington, New Zealand: Royal Wellington Golf Club has created a slice of history by becoming the first New Zealand golfing establishment to join the Asian Golf Industry Federation (AGIF). Host of the 2017 Asia Pacific Amateur Championship and the 2018 Annika Australasia Invitational, Royal Wellington is widely regarded as the home of New Zealand golf, best private members’ parkland course and one of the country’s most historic golfing venues. Situated alongside the famous brown trout fly fishing Hutt River near Silverstream, Royal Wellington consists of two courses, the 18-hole championship Heretaunga Course and nine-hole Terrace Course, and world-class practice facilities. “Our courses offer an enjoyable and challenging golfing experience in a beautiful setting,” said Kurt Greve, the club’s Chief Executive, who is a member of the Club Management Association of America (CMAA) and Master Professional in the PGA of America. 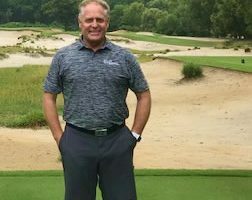 Greve previously held senior management positions at golf clubs in Vietnam and Singapore, with additional work growing the game and management roles in both China and Thailand over nearly 30 years in the golf industry. He added: “We admire much of the educational work that the AGIF has been undertaking, especially related to club management, as a CMAA member, and greenkeeping through the Golf Course Superintendents Association of America (GCSAA). Among the clubs with which Royal Wellington has reciprocal arrangements in Asia are the Hong Kong Golf Club, Fanling and The Singapore Island Country Club, both of which are Golf Course Facility Members of the AGIF. Eric Lynge, the AGIF’s Chief Executive Officer, said: “We’re delighted to welcome Royal Wellington Golf Club into the AGIF. As a non-profit industry organisation, our remit is to support the golfing industry in any way we can. “Since the Federation was launched 10 years ago, it has never been constrained by geographical boundaries, as evidenced by the genuinely international nature of so many of our member companies. With the addition of Royal Wellington to the AGIF’s membership roster, the Federation now boasts member clubs from 11 countries and territories – Cambodia, China, Hong Kong, Indonesia, Korea, Malaysia, the Philippines, Singapore, Thailand, Vietnam and now New Zealand. Approaching its 125th anniversary in 2020, Royal Wellington has stayed close to the traditions established during its foundation but also aims to be progressive and responsive to the way the game of golf changes through its close relationship to The R&A. It was in 2004, to commemorate the 250th year of the Royal and Ancient Golf Club of St Andrews, that Her Majesty Queen Elizabeth II consented that the club became known as Royal Wellington Golf Club. This was a culmination of more than a century of sustained contact with other like-minded clubs in many parts of the world.